Rationale. Although environmental enrichment renders rats more sensitive to the neurobehavioral effects of acute amphetamine, a previous study found that enriched rats self-administer less amphetamine than isolated rats at a low unit dose (0.03 mg/kg per infusion). In that study, however, acquisition of self-administration was limited to only two amphetamine unit doses using a fixed ratio (FR) schedule. Objective. 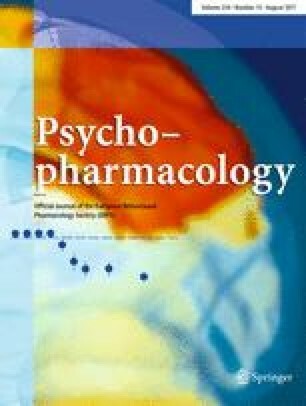 The current study defined the full dose-response relationship for amphetamine self-administration under FR1 and progressive ratio (PR) schedules of reinforcement in rats raised in either an enriched condition (EC) or an isolated condition (IC). Methods. Rats were raised from 21 to 50 days of age in either an EC or IC environment. Rats were then trained to press a lever for sucrose before implantation of an intravenous jugular catheter. After implantation of the catheter, rats were allowed to acquire stable response patterns under an FR1 or PR schedule of reinforcement before determination of the dose-response function. Results. EC rats self-administered less amphetamine at a low unit dose under both FR1 (0.006 mg/kg per infusion) and PR (0.02 mg/kg per infusion) schedules. However, responding for high unit doses was similar between the two groups. Conclusions. This result suggests that environmental enrichment may be a protective factor for reducing amphetamine intake at a low dose.